Actor Ian Watkin — not to be confused with pioneering television presenter Ian Watkins — ran the gamut from comedy to drama, from the edgy to the mainstream. His imposing voice meant he was often cast as the boss or the official, but Watkin showed little fear of pushing the boat out. He was a distinctive presence in outlandish roles in splatter classic Braindead, and in 1970s entertainment troupe Blerta. Starting in the 70s, Watkin had bit parts in a slew of Kiwi screen classics. He was also a compere on Miss Universe New Zealand and music show Rock Around the Clock. Watkin grew up just across the river from Greymouth on the West Coast. He moved to Wellington and began acting in theatre and radio plays, while working as a magazine editor at the NZ Broadcasting Corporation. His screen acting career began after joining the ensemble cast of pioneering early 70s drama Pukemanu, the first TV series to show Kiwis speaking in their own voice. Watkin played the town doctor. Pukemanu saw Watkin acting alongside Bruno Lawrence and Geoff Murphy, two emerging talents for whom barriers were things to be driven through, preferably at high speeds. The same year Pukemanu went to air, Lawrence formed multi-media troupe Blerta, short for the Bruno Lawrence Electric Revelation and Travelling Apparition. The Blerta bus provided a roaming training ground for many future members of New Zealand's screen renaissance. Among them were performers Lawrence and Martyn Sanderson, and trumpeter, explosives enthusiast and director Murphy. In 1972 Watkin was invited to join the team, partly to increase the number of actors in Blerta's ranks. Watkin took on a number of roles with Blerta, including ringleader and occasional recipient of custard pies. When the team got their own TV show in 1976, Watkin was there. The show was a madcap melange of music and comedy sketches, and as compilation film Blerta Revisited makes clear, Watkin played everything from a bearded evangelist (in the fifth clip) to mad scientist Doctor Ectomy and an over-confident movie director. When Geoff Murphy had the idea of stretching a Blerta episode into a mini feature film, Watkin was a vital contributor. On Wild Man he was part of the writing/acting ensemble, taking a central role alongside Lawrence, as a silver-tongued conman, mining profits on the West Coast in the 1800s. Watkin would later take cameo roles in Murphy's Utu, following Murphy's breakthrough hit Goodbye Pork Pie, in which he won laughs as a frazzled father in a mini, who keeps getting mistaken for one of the Blondini gang. There was more to Watkin than Blerta. In the 70s he acted in landmark TV drama Hunter's Gold, Epidemic, and was an Englishman in Opening Night, one of four Ngaio Marsh murder-mysteries which marked the first local TV drama to sell to the United States. He also appeared in the iconic Crunchie bar commercial, as the man guarding the chocolate stash, and in an episode of Winners & Losers, as a dour barman tricked out of drinks by famous conman The Shiner. Watkin's live experience made him an obvious choice to help out on the nostalgic Radio Times and the "downright disgusting" Neville Purvis Family Show. As the Kiwi film renaissance began to take flight in the late 70s, he turned his eyes to the big screen. Watkin estimated he acted in upwards of 30 features. 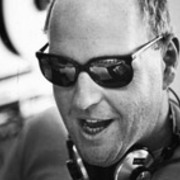 The list included breakthrough 1977 classic Sleeping Dogs and the edgy The Lost Tribe, while early Kiwi hit Beyond Reasonable Doubt (1980) saw him taking on a bigger role as Kevin Ryan, the real-life lawyer who acted for Arthur Allan Thomas (Watkin can be seen rehearsing a scene in the second clip of this making of documentary). 1982 saw him in a rare leading role, in light-hearted teleplay Graham's Mum and the Goulden Tour. Watkin was a well-meaning but dim tour leader, trying to make Wellington sound exciting to a group of international tourists. The same year Watkin played a stock buyer in TV movie A Woman of Good Character (aka It's Lizzie to those Close). Two other members of the cast (Bruno Lawrence and Martyn Sanderson) were ex-Blerta members. Watkin was also performing in a number of roles aimed at younger audiences — among them adventure series Sea Urchins, hamming it up as villainous henchman Godzilla in Roger Donaldson romp Nutcase, and playing spy 'The Wobbler' in the fondly remembered Mad Dog Gang. He showed his eye for the offbeat again as the axe-wielding title character in surreal, no-dialogue short Blackhearted Barney Blackfoot. In the 90s Watkin did strong work as sleazy Uncle Les in Peter Jackson's Braindead, and acted in cult show The Neighbourhood Network and Hercules: The Legendary Journeys. He also played American president John Garfield in The Sound and the Silence, a mini-series about inventor Alexander Graham Bell. Six years later, Watkin took on the role of Jim for Gliding On sequel Market Forces, after the passing of the original actor, Michael Haigh. (Long before, Watkin had appeared in a different role in the first, oft-forgotten television adaptation of Gliding On — teleplay Glide Time). Watkin also occasionally wrote for television — contributing episodes of soap Shortland Street and 60s era show Peppermint Twist. He relocated permanently to Australia in 1999. Although occasionally still appearing on screen and stage, Watkin reinvented himself as a wine broker. Ian Watkin passed away on 18 May 2016.